'Tis the jolly party season with lots of kissing under the mistletoe in store no doubt, so this billboard from British fashion house Burberry seems quite appropriate, even though it was snapped earlier this Summer on July 8, 2013. 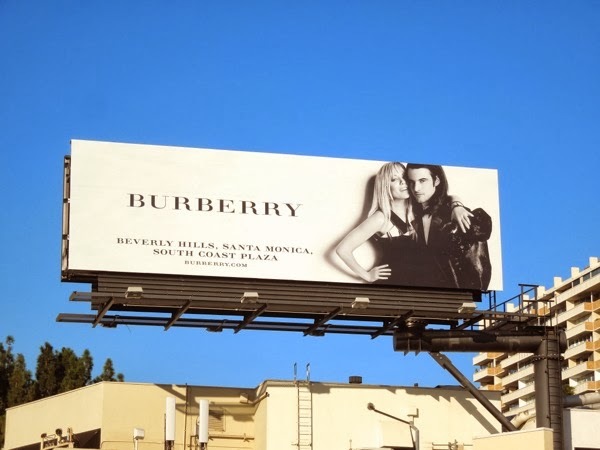 Actors Sienna Miller and Tom Sturridge are the kissers in question for Burberry's Fall/Winter black and white ad campaign, and the follow up creative was spied in the same location along Sunset Plaza on November 11, 2013. 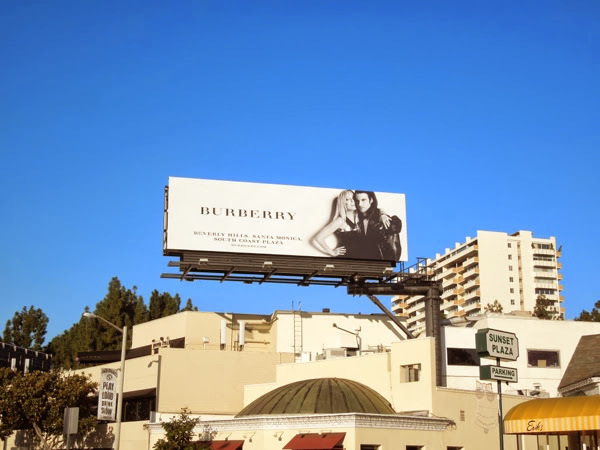 If you're a fan of the British fashion brand, be sure to check out these previous Burberry billboards filling the skies of L.A., New York and San Francisco.